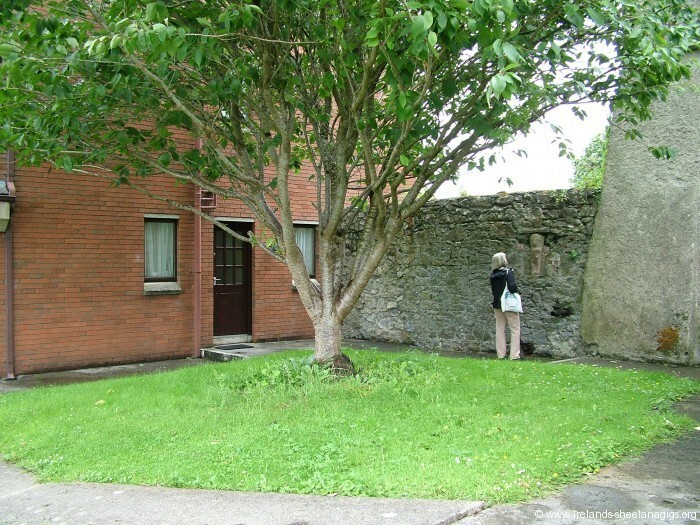 A neat little stone set into the wall and looking North just beside the parish priests house (see who gets most embarrassed) on the East side of the town and if it is still clear of ivy you will have no difficulty finding it. 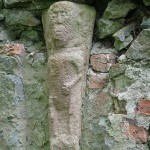 The date for the nearby Augustinian Church is 12th century and it is most likely to be the origin of this possible sheela. 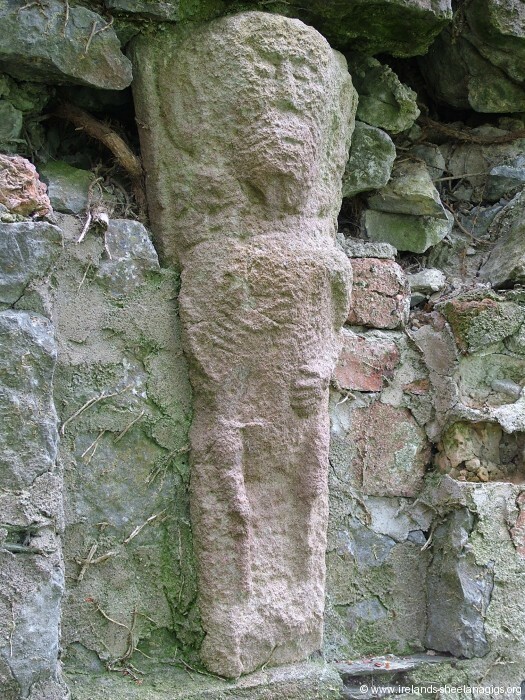 Visited today to find a big effort being made to conserve the 12th century Augustinian Abbey. 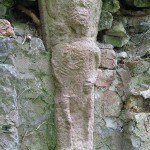 Sheela is still in place beside the red-brick priests house. 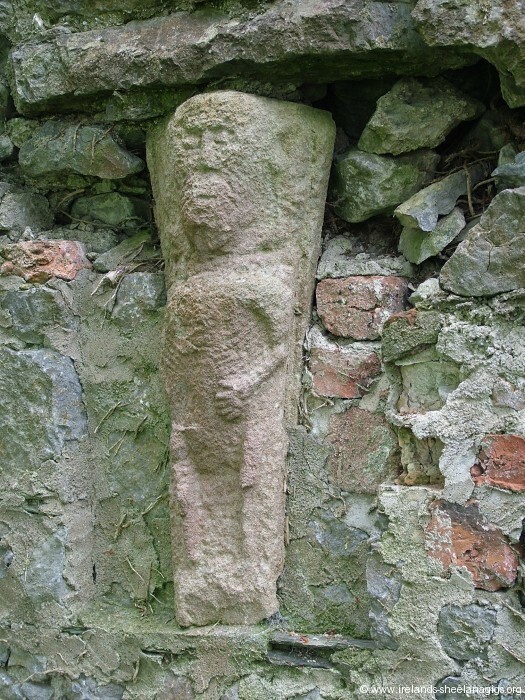 At the moment I’m thinking doubtful sheela, more later. 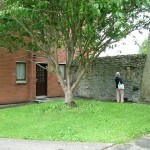 Some Fethard people think that this image was doctored to remove it’s bits and bobs. I am a bit doubtful here as the image is so slight any changes would have to be very delicate. Instead I suggest it is original and the important part of the piece is between it’s legs. Not now visible as displayed by the colour photos, but if you examine the b/w image you can just make out another (baby?) body between the legs. A birthing scene perhaps?. The older the photo is, the better it gets.